You need design the seating chart? The simple way is to use the specialized software. ConceptDraw DIAGRAM diagramming and vector drawing software extended with Seating Plans solution from the Building Plans area with powerful drawing tools, samples, seating chart template free will be ideal for you. 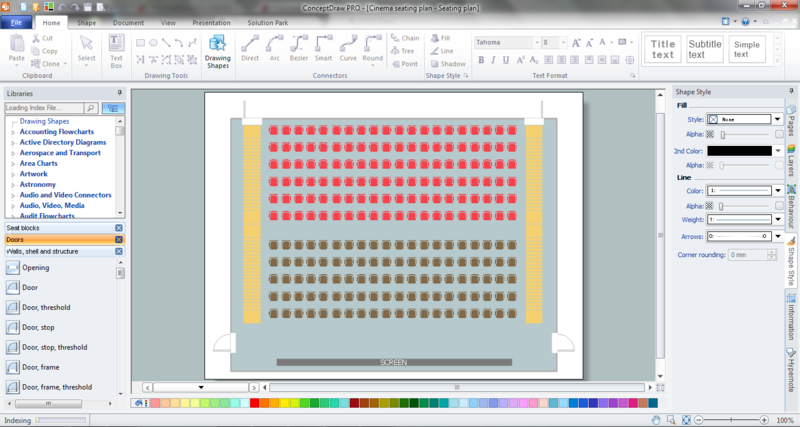 Use of Seating Plans Solution lets you design the seating charts of any complexity in minutes. All what you need for this is create new document and drag the predesigned objects from the Seat Blocks library from the Seating Plans Solution and arrange them according to your idea. Or you can use the seating chart template free and quickly fill it. 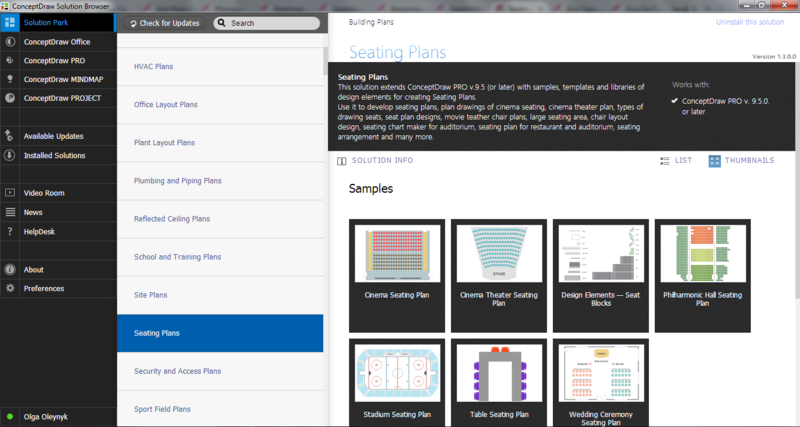 Pay your attention to the collection of seating chart samples presented in ConceptDraw STORE. They are so different that anyone will be able to find something suitable for him. This sample was created in ConceptDraw DIAGRAM using the tools of Seating Plans Solution. 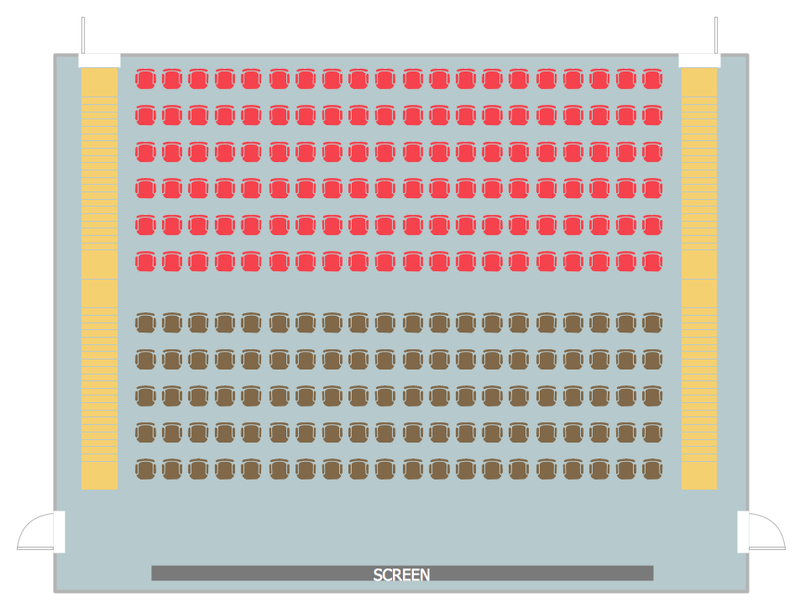 It shows the seating arrangement plan for the cinema and can be used as seating chart template free for creating your own professional looking seating chart for any premises. An experienced user spent 5 minutes creating this sample.